Have you ever wondered how native bees interact with non-native honey bees? Or if they interact at all? 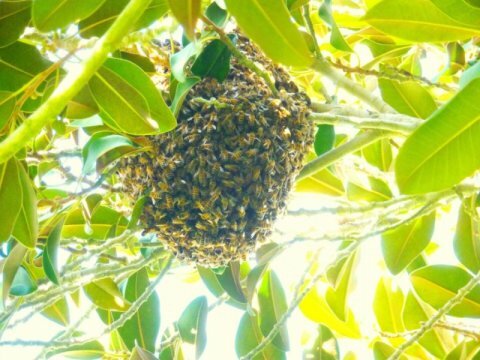 A recent study in San Diego County, a known biodiversity hotspot, found that honey bees make up 75% of the region’s observed pollinators. In addition, they focus their foraging efforts on the most abundantly flowering native plant species: “Their numerical dominance is even higher on the plant species that supply the largest amounts of pollen and nectar…this finding suggests that honey bees are disproportionately removing resources from the plant species that likely support the greatest diversity and abundance of native pollinator species.” An additional component of the study indicated that the repeated and increased visits to certain plant species may be causing damage to the actual flowers. Click here to get more details and information pertaining to this important work.